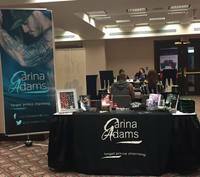 I am super proud of Carina Adams for writing such beautiful stories. 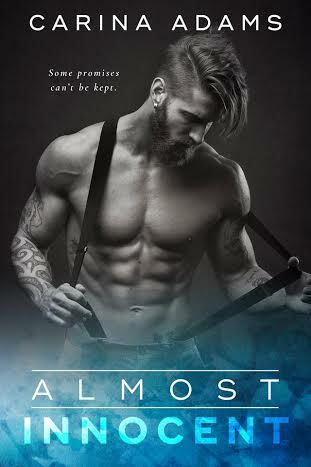 Check out the beautiful cover for her up-coming release–Almost Innocent. This entry was posted in Adult Romance, Bad Boys, Book Boyfriend, Book Boyfriends, Book Covers, Book Crushes, Book News, Book Promotion, Book Quotes, Book Recommendation, Book Release, Book Spotlight, bookish temptations, Books, Character Crush, Eye candy, Fantasy boyfriends, Favorite Authors, Romance and tagged Almost Innocent, Book Cover, Carina Adams, cover release, Dark Romance, Declan, Gabby, Goodreads, Quotes, TBR, tempting illustrations.